I'm trying out the demo of SW 1.3 with the headphone out of my RME Fireface400. Calibration works perfectly from C1 - F4 (absolute revelation to hear my M15 tracking so well! ) but then things go awry. The calibrate graphic on the plug-in seems to confirm this (see attachment). Am I doing something wrong or is this maybe a limitation of the FF400's outs? That looks fine to me - the jaggy line at the top is where you hit the max voltage and it wraps round the top octave. If you need more range, use an input that's adjustable and not fixed 1v/octave. E.g. If you can set the VCO to 0.5v/octave then you'll double the reachable note range. If you can set the VCO to 0.5v/octave then you'll double the reachable note range. -but this will also affect your resolution, right? Either way, the wrapping around the octave is a nice clever little solution. Good thinking, that. I have to give Graham at http://www.hinton-instruments.co.uk/ credit for suggesting that feature. Thanks for the confirmation os! I also got a Cwejman MMF-1 filter to track perfectly from C1 - C6. Doepfer's A-105 is a little less stable (+/- 1-2 cents) over the same span, but easily close enough for rock 'n' roll. Malekko/ Wiard Borg didn't fare as well: +/- 15 cents, but I didn't expect it to. Bananalogue/ Serge VCS, C1 - C5, up to 6 cents off, but hey! Plan B Model 10 EG, C2 - C4, +/- 20-40 cents. Also surprising. The tricky part here is figuring how much Timebase modulation to apply. With the VCOs and filters that are calibrated for 1V/O maybe these results shouldn't be too surprising. Thanks for all those, that's great information. For the more 'wobbly' modules, I could probably add a more accurate (but much slower) calibration process that fine tuned each note in turn. Do you think that's worth doing? Would users be willing to sit through such a process? If it's an easy to implement option, then yes. I'd be happy to test it for you. The current calibration routine seems to work fine for VCOs and filters with 1V/O inputs though. Out of interest, how slow is 'much slower'? Thanks for the bounty tip-off! OK, I'll add it to the "to-do" list. You can hear the current calibration routine stepping between pitches, and how long it spends on each one. Imagine that stepping over all 128 possible MIDI notes. Almost all MOTU interfaces are compatible. That's way more than two. I should have written 'two or three brands' i.e. MOTU, Alesis (& RME). Are you finding the Ultralite's 4-5V max output a limitation? 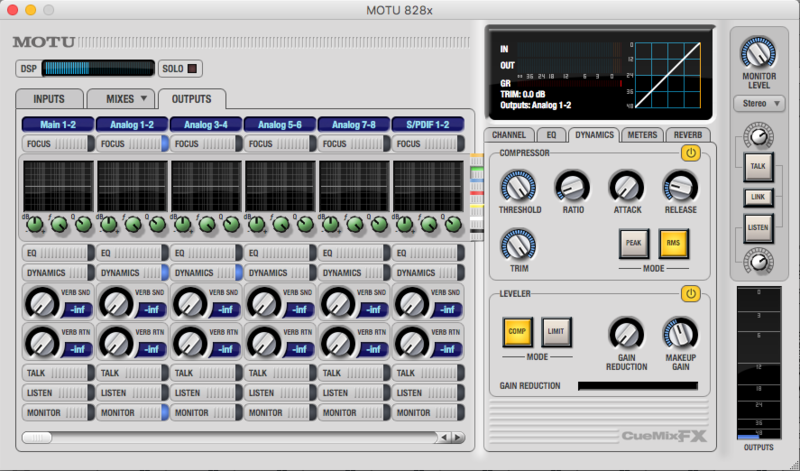 No, but bear in mind this is the only way I've ever controlled a modular - I don't have any history with MIDI/CV etc. to compare against. I would certainly be happy with a high quality calibration mode for sure. Don't worry about the time it takes....3 mins would be fine for me. Can i callibrate in the range of -10v to 10v? 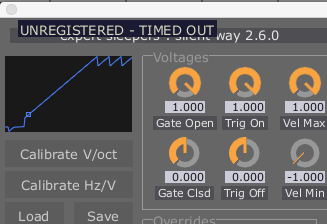 If your audio interface generates that voltage range, yes. Same thing trying to modulate filter freq with envelopes on a different output of the 828x. Has anyone experienced this before? Is there a way I can get more voltage out of the 828x? I know that an ES-3 would solve this problem, but it seems like I should be getting more out of the 828x. I don't know if this is the cleanest way to achieve this but it seems to work. Anyone know of a less hacky way to get max output voltage from an 828x?